Mr. Potato was having a party. His friends were all invited. He set a festive table. 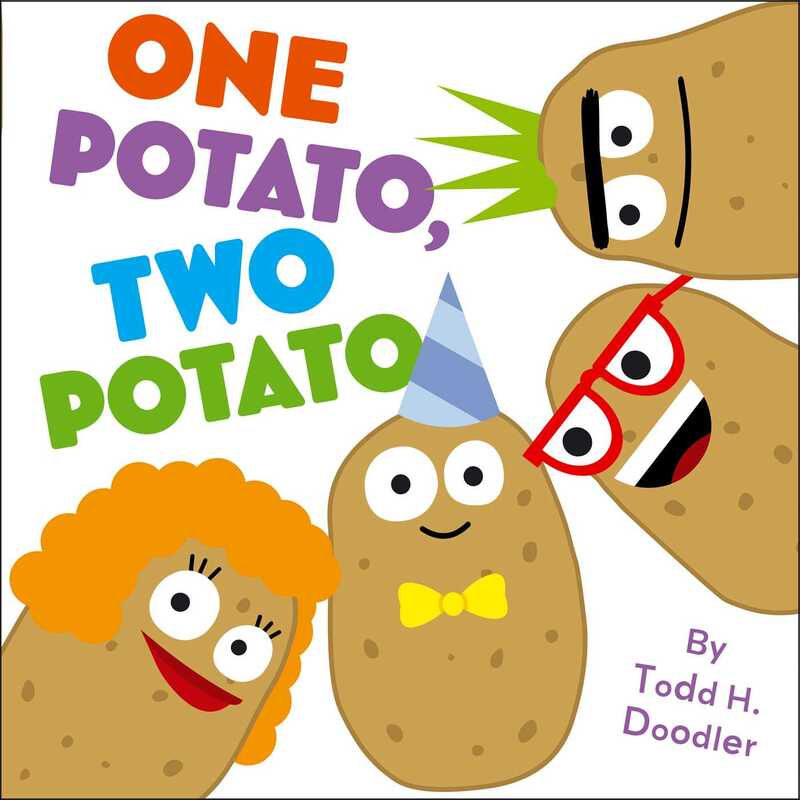 Then it’s one potato, two potato, three potato, four showing up at Mr. Potato’s door. Party time! But when it gets to be fifteen potato, sixteen…uh-oh! The potatoes are smushed, smashed, and in the end a little mashed—but ready for a birthday bash! Todd H. Doodler, also known as Todd Goldman, is a pop artist and founder of David and Goliath, a company that produces T-shirts, posters, greeting cards, and plush toys with clever and funny sayings. His father urged Todd to become a CPA rather than a “starving artist,” but he quickly realized his heart was in doodling and drawing. He is currently developing television shows and animation. Todd lives with his family in Los Angeles, California.